GREGORY KUDLATY, 55, passed away July 24, 2012. Beloved father of Ava and Nicholas; devoted brother of Edward (Edith) and Cynthia Zbaeren (Dan); dear uncle of Kristen Toth (Marshall), Lara Gueguen (Byron), Jeffrey and Patrick Zbaeren; great-uncle and friend to many. 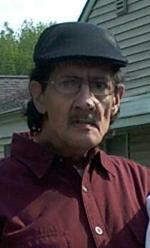 Memorial service, Malloy Memorial, 1575 West 117th Street, Cleveland, Monday, July 30 from 6 – 7 p.m.
FRANKLYN D. LESCOOK, 65, passed away July 11, 2012. Beloved father of Dorienne Boykin and Cynthia. Private interment Ohio Western Reserve National Cemetery. ALBERT F. CIGLAN, 88, passed away July 23, 2012. Father of Catherine Zitzman (James) and Michael (Judy), grandfather of Jenifer Weekley (Bart) and Brian Dean and great-grandfather of Emory, Brandon, Ravenna, Alex, Emily and Kodi. Private service. MARYA WOEHRMAN, age 44, daughter of Ralph and Linda (nee Treadon), sister of Sarah and Amelia, passed away July 5th at Hospice of the Western Reserve. Marya was a long time reside of the Hattie Larlam Aurora Road Group Home in Solon where she received exceptional care by a loving and devoted staff. A private memorial will be scheduled at a later date. Memorial contributions may be made to the Hattie Larlam Aurora Road Group Home, 37125 Aurora Rd., Solon, Ohio. 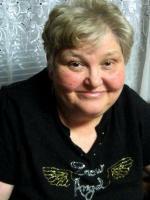 BEVERLY ELIZABETH MOSS (nee Johnson), 64, passed away July 6, 2012. Daughter of the late John and Barbara, loving mother of Barbara Bracken (Daryl), George Moses (Ruth) and Lori Moses, sister of Helen Browning and the late John Johnson, Jr., grandmother of many and great-grandmother. Services private.